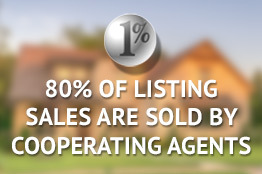 One Percent Realty collects, holds and discloses certain personal information about its' clients such as a client's name, home address and personal contact information which allow us to communicate with and to provide our services to our clients. We understand that privacy is important to our clients so we will safeguard your personal information and use it only when needed in the course of helping our clients buy or sell real estate. We will remain accountable to our clients for the means by which we collect, use and disclose your personal information so that you will have confidence in your dealings with our company. Personal information includes your name, address and contact information and may also include information about your property and your financial information. Our sales associates will only ask for such personal information as they require to provide you with the services you require. To provide effective service to our clients we must collect certain personal information. This information allows us to list and market your property, arrange for appraisal of property or to help you find property to purchase. Most of the personal information that we collect and hold is collected from our clients through contracts and other forms clients will complete in the course of a real estate transaction. Other information is obtained from government sources that collect and provide land title information and taxation information. In addition information is shared in the course of discussions between clients and sales associates. Personal information that is disclosed or shared with other persons will be done so to facilitate the conclusion of real estate transactions which are entered into in the normal course of buying and selling property. These transactions include offering a property for sale on the Multiple Listing Service, arranging mortgage financing and contracting to buy or sell a property. Additionally some personal information may be disclosed to comply with certain legal or governmental requirements or in the course of arranging property appraisals, conducting market analyses and to enforce codes of professional conduct. The personal information that is disclosed will be only that which is required for any of the foregoing purposes. For these purposes, personal information may be made known to other Real Estate companies, Real Estate boards and their staff and members, government departments and agencies, financial institutions, legal advisors, service providers, certain real estate related organizations and members of the public. When you decide to work with one of our sales associates you will be provided with a form entitled "Working with a Real Estate Agent". This form explains the collection and disclosure of real estate related personal information and contains an area for you to sign indicating your acknowledgement and consent to the collection, use and disclosure of your personal information. 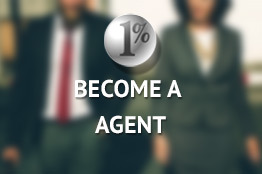 One Percent Realty protects the personal information it collects and holds by having security arrangements in place to prevent unauthorized access to or use of this information. We will not disclose or share personal information we collect and hold except that which is required to facilitate your real estate transactions. We may also use your personal information to contact you to confirm that you were pleased with our services or to find out how we may assist you with buying and selling real estate in the future. Once a client's real estate transactions are completed personal information is retained only for as long as we are required by law to retain our files and records. Should a client wish to confirm at any time what personal information we have collected and are holding or have any inquiries regarding our privacy procedures they may contact our appointed Privacy Officer.